“An Idea can change your Life”, a famous line used by a famous brand. There are many start-ups being started nowadays and all of them are based on unique ideas. But as lightweight an idea is in existence, the more powerful impact it has on the existence of others and the more difficult is the process of brainstorming to find one. That is why nowadays contests are being held where you are asked to submit your innovative idea and hope for the win. But when there are millions of other contestants, what chance does your innovation stand and that’s why many brilliant ideas go in vain. So why don’t you help others solve their little problems and get rewarded for the effort. On the other side, if you are seeking for someone’s help, you should know the right address to ask for. I am talking about the web app called Yutongo. I have first time come across any such app with the idea of “mutual brainstorming”. Suppose you want to create a new website related to the world of fashion and you want others to help you. Now if you just post this question, then expect hundreds of silly answers because it’s a very big question and summing it in one answer is almost impossible. So what you should do is break it into many different categories such as the design of the website, which brands to include, fashion designers, if you should sell your own products or not, how to invite others to check your website, etc. This is just the way Yutongo does it. You post some questions and ask either your team members (if you’re working for a company) or other Yutongo community members to answer them in their own way. Each such response adds to an idea fragment and when many such fragments combine, they form an idea. You can work on these fragments along with your team members. 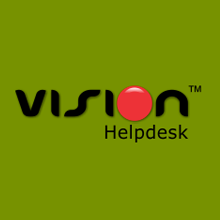 You should make sure that the questions you have put are good and cover each and every aspect of the final objective. Also, they should be short and easy to answer so that people may not have to spend too much of time. When all these ideas are put ogether, they’ll surely help you out in your purpose. Now you can place a small amount of price as well for all the people who contribute to your idea. It may be a small amount but more people will be willing to help you. On the other side, you can also help others and earn dollars. It’s all up to you if you have some creative bones in your head or not. 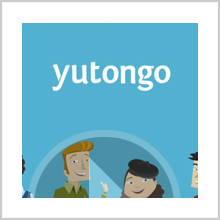 You can sign up for free for Yutongo but to enjoy unlimited membership with no restrictions, you’ll have to pay $49 as a monthly subscription. So go and check out this app if you have something on your mind! Pros: unique brainstorming process; a better result expected every time; everyone gets paid for his/her efforts; free subscription available.